We remind that learner churn is a number of learners who leave your Academy in a certain period of time. And today we will talk about what you can do to change it. Whatever your goal is, first of all, you should pay attention to the text formatting. A coherent text with good logical structure is always nice to read. You can also improve readability using clear subtitles and highlighting main ideas. 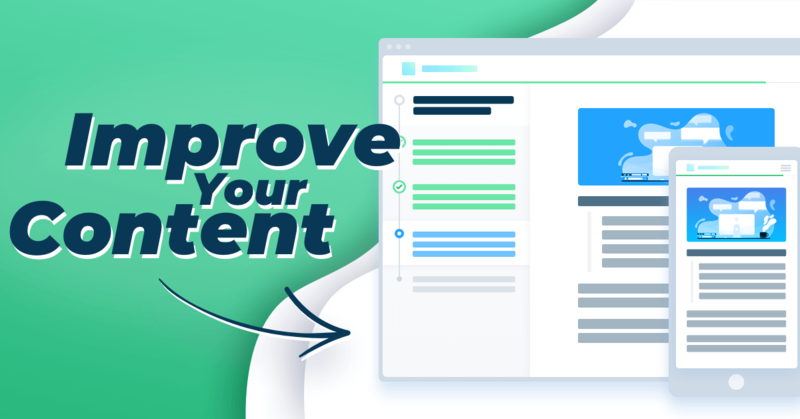 Thanks to this, you will help your reader focus on the most important points. Also, don’t forget about visual components: images, slideshows and videos. Texts with no visual components are often perceived as boring. In order to simplify reading, you should also avoid large sentences and paragraphs in a text body. The main idea is to keep simple proportion: one piece of text contains one main idea. We also advise to avoid extra long lessons that contain too much text. Scrolling till the end of its page feels like something endless. You do not want your learners to fall asleep, right? Remember, this tip does not relate to terminology used in your text. As we have mentioned before, it is not a good decision to mix complex technical terms and information for beginners. The reason is simple — newbies will feel confused while experienced readers will get bored. First, you can keep all this content in the same course but arrange its lessons in increasing order of difficulty. 6-12 lessons per course is our recommendation. Second, you can split one course into two separate ones and mark their difficulty with corner ribbons. Learners will be able to understand whether or not they need a course depending on their knowledge level. Some people want simple texts, that’s true. They want to quickly read them and then switch to something else. If you want your learners to easily understand your lessons and quickly pass quizzes, then two desires meet. It won’t take long to add some changes and make content simpler. It is a bit harder to rewrite content when you want to make certification in your course more valuable and exclusive. Text level then should correspond to your goal, because you are explaining a difficult subject. It is highly desirable to refer to your team members who know about required topic and involve them in content creation. Nevertheless, using technical terms doesn’t mean that your content should be incomprehensible even for specialists. Lose their value — difficult content plus simple quizzes can be a disappointing combination. When you anticipate a “small competition for a certificate”, you are waiting for relevant questions. Are too hard to receive — when quizzes are too difficult for a simple content, learners’ motivation to complete them is strongly reduced. It is not hard to fix weak spots in your content as soon as you’ve found them. It’s important to keep your content easy to read regardless of your content complexity. A well-structured lesson with clear focus on the most important ideas is always a good choice. Do not forget about your goals while creating or editing your content. Some goals require simple texts and quizzes, while in other cases you need to switch to a high level of complexity.